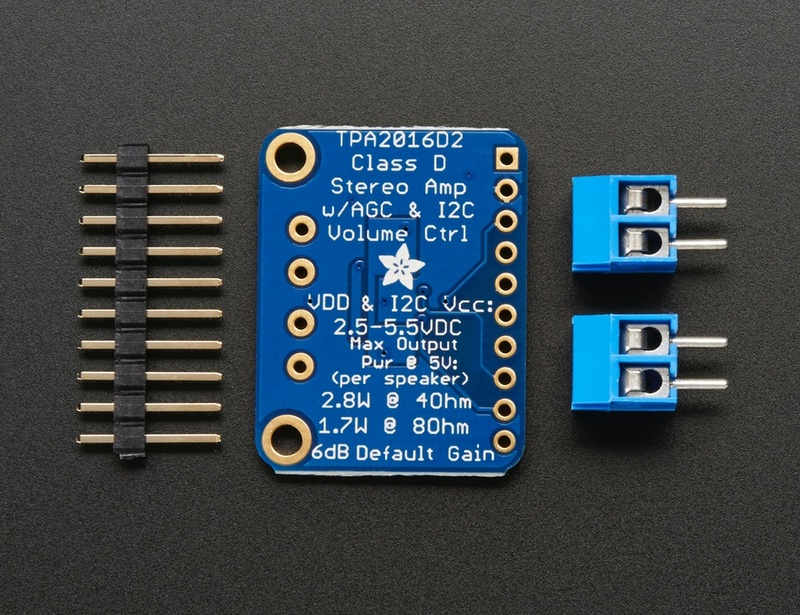 Inside the miniature chip is a class D controller, able to run from 2.7V-5.5VDC. Since the amp is a class D, it's incredibly efficient (89% efficient when driving an 8O speaker at 1.5 Watt) - making it perfect for portable and battery-powered projects. It has built in thermal and over-current protection but we could barely tell if it got hot. This board is a welcome upgrade to basic "LM386" amps! 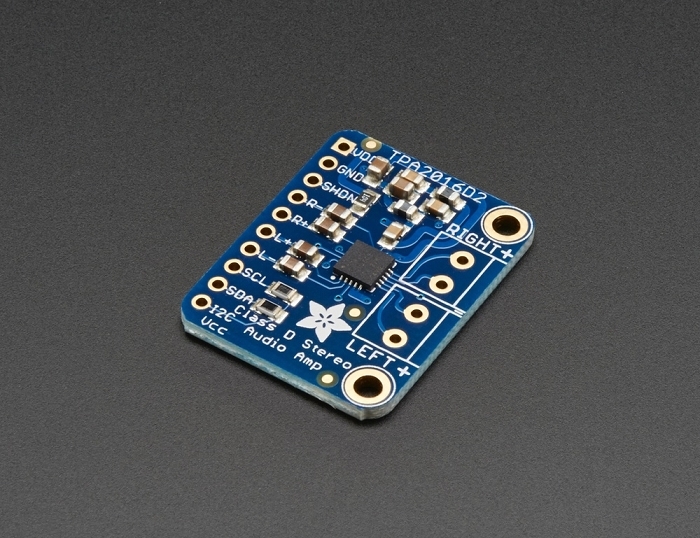 Comes with a fully assembled and tested breakout board with 1.0uF input capacitors. 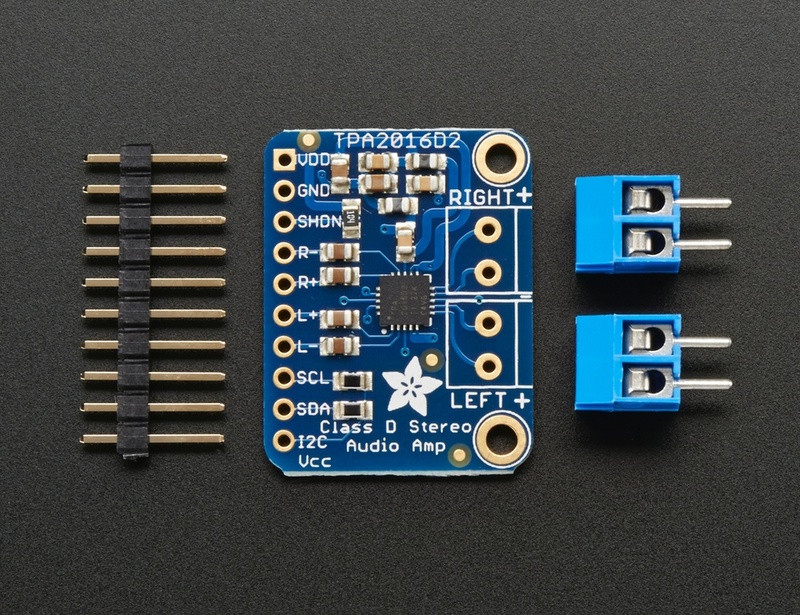 We also include 3.5mm screw-terminal blocks so you can easily attach/detach your speakers, and some header in case you want to plug it into a breadboard. 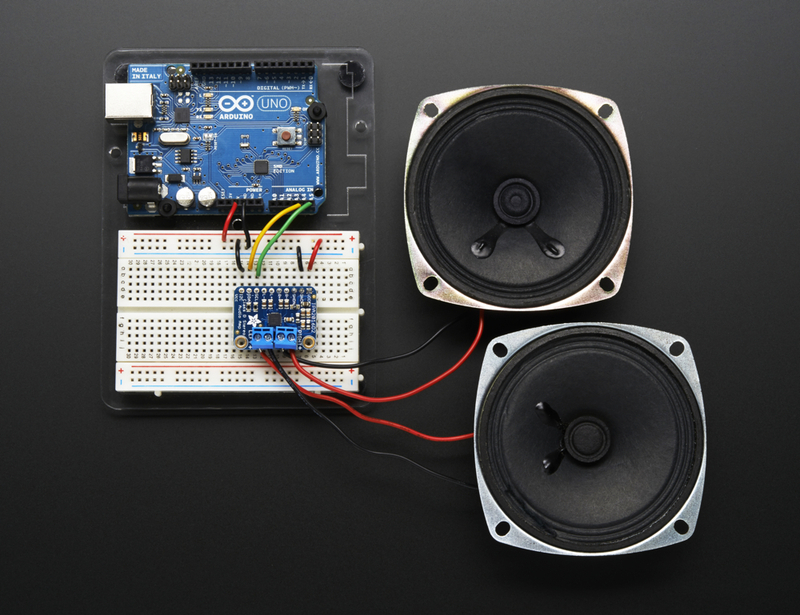 Speakers and Arduino are not included, use any 4 ohm or 8 ohm impedance speakers.